Many of you will have received letters in the post today from CDC about changes to the development at Southam Road. It seems that someone, somewhere has engaged their brain and decided that the site would have a detrimental effect on the visual landscape of Banbury and the surrounding area. 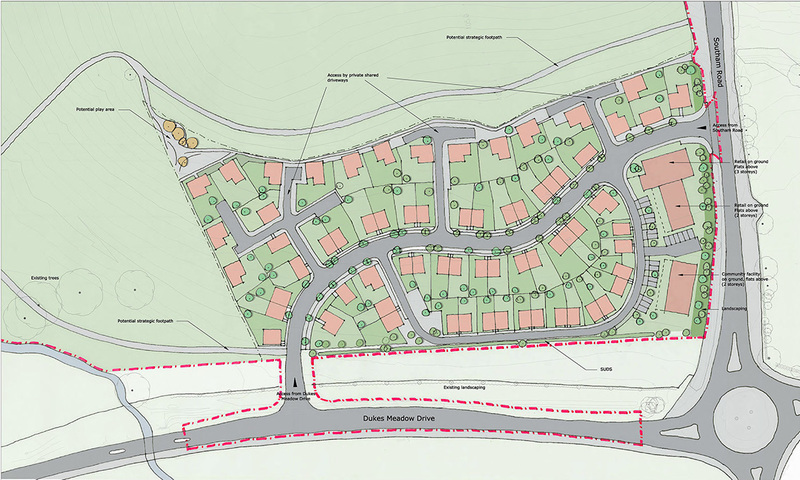 The numbers for this development have been reduced from the original 880 houses down to 600. The most significant reduction being on the area to the west of Southam Road (bottom of Dukes Meadow Drive) where the number of houses is now 90 from 370. However it I have also seen that Banbury Town Council are supporting this site to encourage the use of traffic calming on Southam Road. I think a few emails to Banbury Town Council may be in order as well !! !